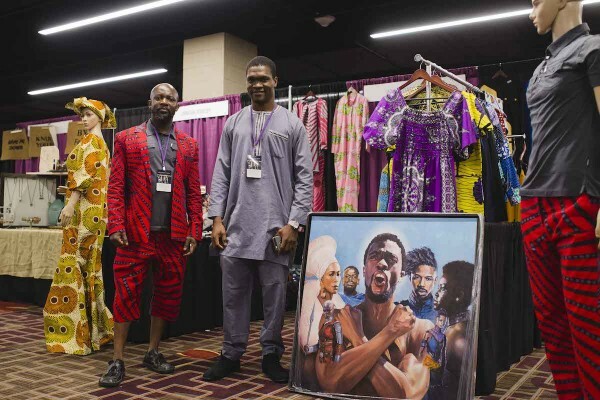 After the extremely huge success of Marvel’s Black Panther, David Barthwell and others came up with the idea that a convention centering around Afro-futurism was needed. As a tested measure, the Barthwells created a landing site to collect emails for those interested in such an event. 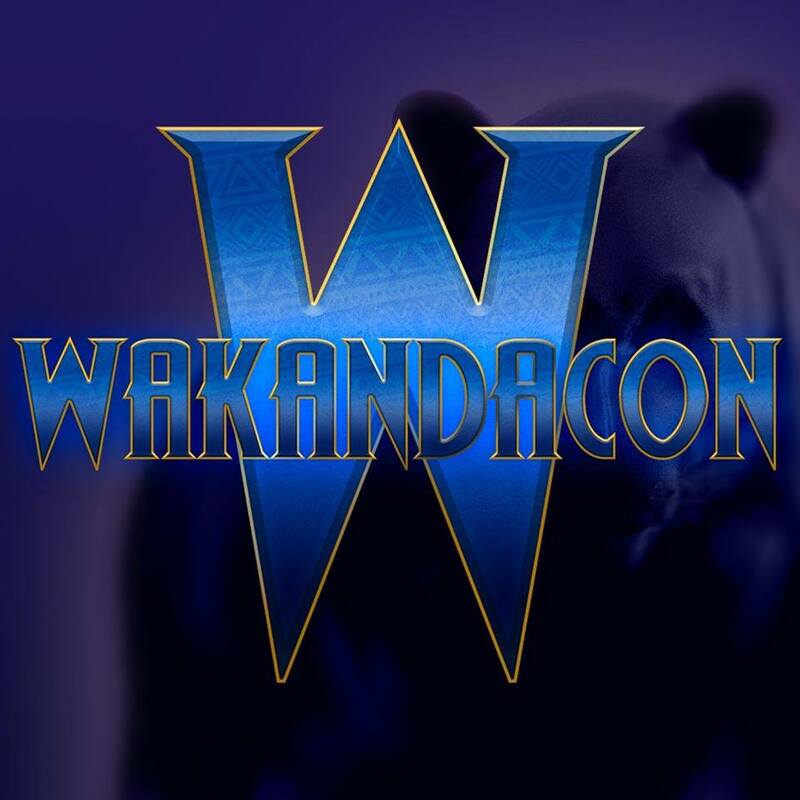 With over 9,000 email sign ups, Wakanda Con became a reality. 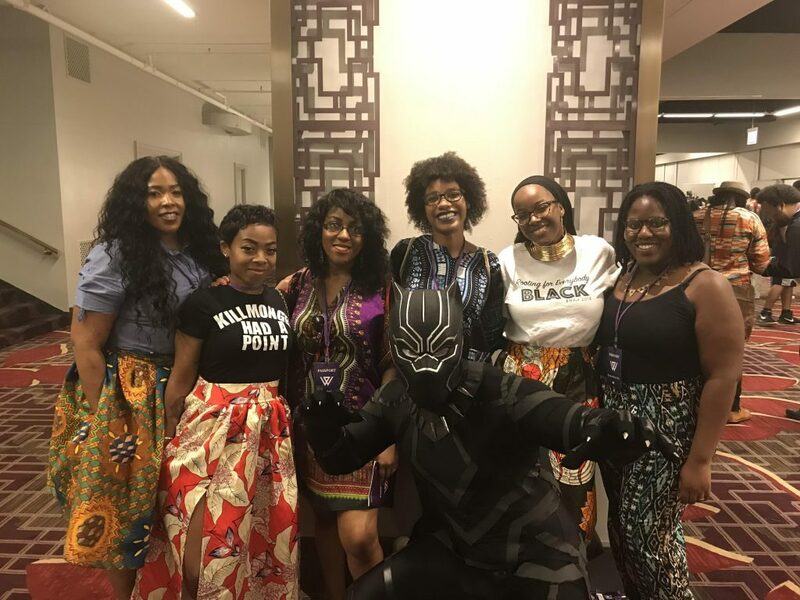 There were a number of events and programs made available during Wakanda Con. There were also a number of special guests attending the event to host panels. Check out some of the coverage below. As with most conventions, cosplay is practically a standard. Wakanda Con was no exception to that. They had a few contests that varied at different levels ranging from children, to first timers, to veteran cosplayers. While the outfits were indeed nice to see, what really stood out was the unique atmosphere of the crowd. At different points of the event, you could hear the crowds chanting African phrases from Black Panther, or reciting lines from the movie. 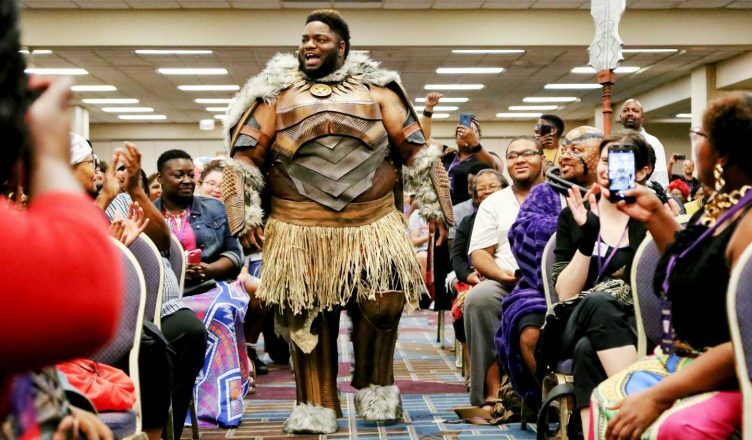 Best of all, the cosplay was not limited to only Black Panther attire. 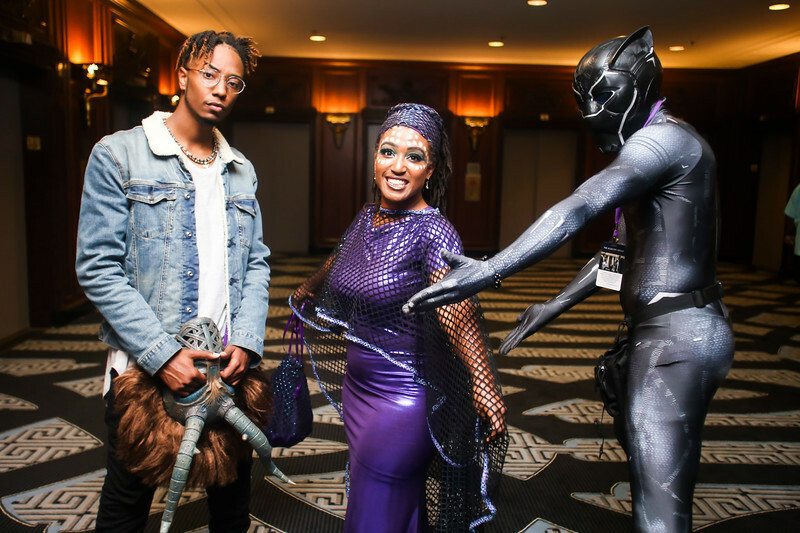 There were some cosplayers who ventured out of the Wakanda mold and dressed up in Harry Potter, Pokemon and other fictional characters. The main point was to demonstrate a sense of Afro futurism which basically encompasses a view of black culture not being limited to only a European influenced lens. 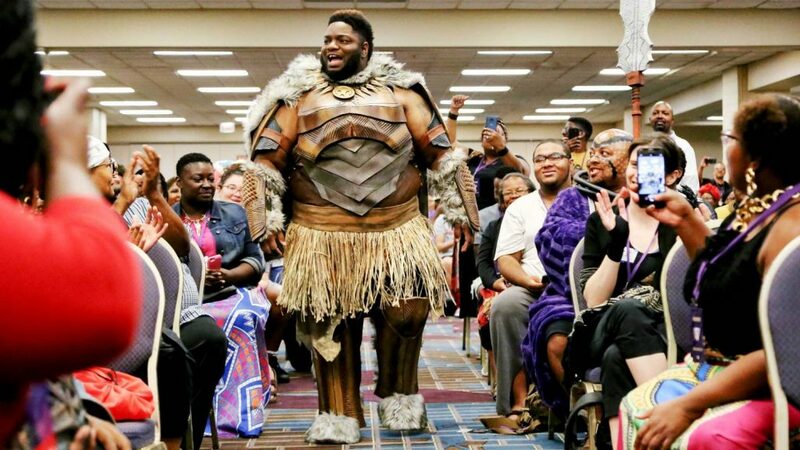 The gentleman pictured above was easily one of the best standouts of Wakanda Con. I got a chance to speak to him about his outfit, and he let me know that the entire design was hand made. It also cost under $200. I forget how much the prize was for the contest, but I’m more than positive he made back his money and then some. 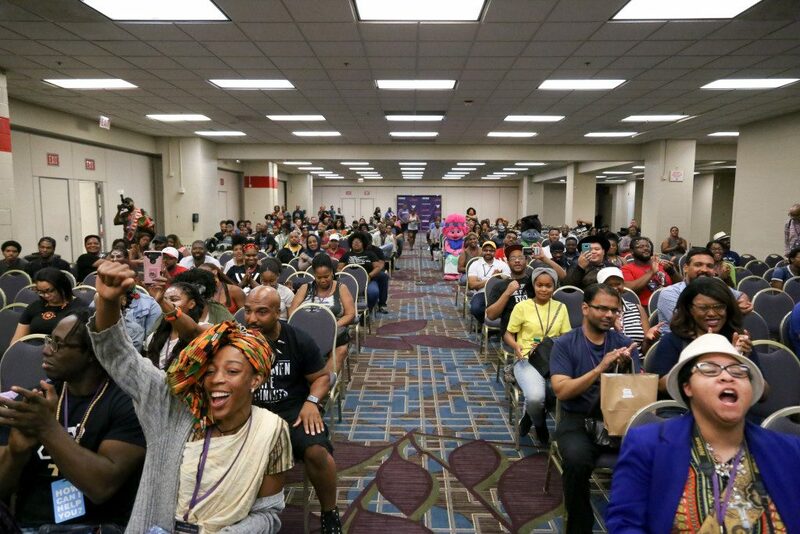 The beautiful thing about Wakanda Con is that for many people it wasn’t limited to just the Black Panther film. As you can see above, one of the other standout cosplayers was the inspired Pam Grier’s “Foxy Brown”. 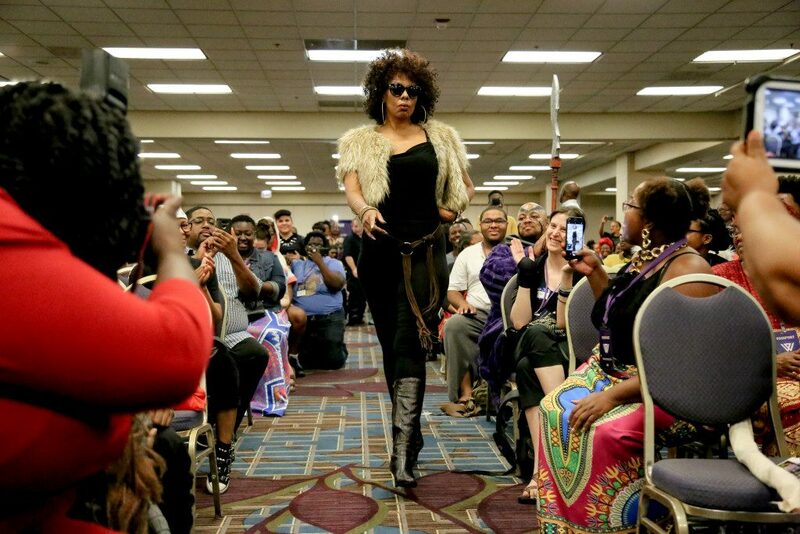 While she strut her stuff down the cosplay runway, that sure didn’t stop people from deeming her the “Hey, Auntie” of the day. Panels were probably one of the most intriguing aspects of the event in my opinion. They ranged from a number of different topics such as art, movies, video games, finance, business, and so much more. Each panel focused on a different area through the lens of black culture and presented the unique prospects, or challenges, of that field as well. 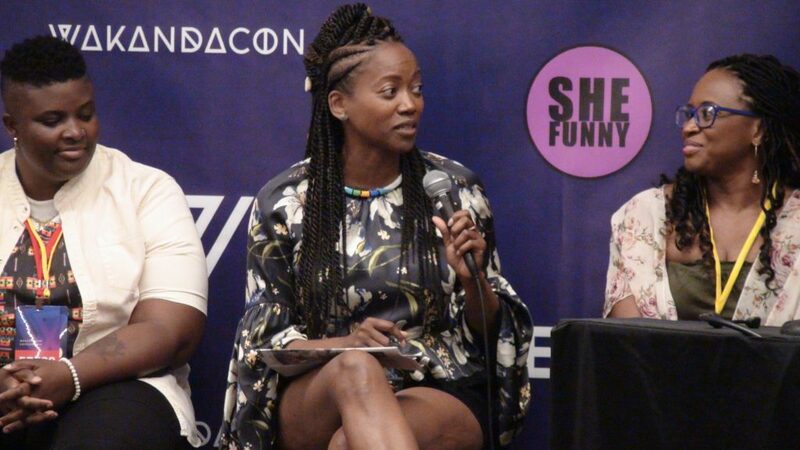 Outside of a number of media professionals in attendance, one of the most notable appearances came from Erika Alexander (Living Single, The Cosby Show.) She hosted a panel discussing her newest graphic novel, “Concrete Park”, and her own company “Color Farm Media”. One of the disappointments was that there were a lot of interesting panels overlapping others. Which means you really had to make a hard decision in terms of which one you wanted to attend or skip. I would be here all day if I tried to detail every single aspect that Wakanda Con included. The video game section was tons of fun. The marketplace was full of things such as indie comics, art, jewelery, food, and your very own Wakandan Passports. For a brief moment, while in attendance, you could really feel like you stepped into the world of Wakanda. That was everything for those who were truly touched by the Black Panther film. However, here in lies the the challenge for Wakanda Con 2019. There won’t be another Black Panther film in 2019, and would it be beneficial to continue riding on the coattails of only one movie for the foreseeable future? After speaking with one of the producers, there are plans to vastly expand Wakanda Con down the road. One of the key aspects is not to stay confined to just Black Panther, but more so on Afro-futurism. So maybe there’s more of an emphasis on black artist, writers, films, business and more. That would help increase the reach of future conventions as well. Wakanda Con was nothing short of a purely unique experience where the sky’s the limit in terms of potential. Given the fact that most conventions usually start off pretty rough around the edges in the first launch, I’m more than positive that the next Wakanda Con will be even better. My hope is that they generated enough money to bring in even bigger guests in order to acquire an even bigger draw. Special guests or celebrities will definitely be a key factor for growth, but I do not doubt that will eventually happen. I will admit, I was super excited when I saw the website invitation for Wakanda Con. Then the closer it got to the actual date, I became apprehensive on attending. However, after going to the event, I am so happy for the experience. It was truly something I’ll never forget, and hopefully more people will get their chance the next time around.